"Thank you... Congratulations... I love you... I'm sorry..."
Whatever you want to say, flowers are a fantastic way of expressing your feelings and communicating that all important message. Not only do they look beautiful and smell delightful, but the right flowers can evoke feelings that, sometimes, words alone cannot describe. 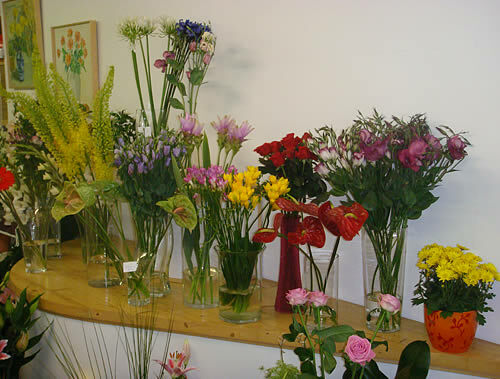 Connemara Florist, is a local business that has operated out of its shop in Clifden, County Galway, for many years and offers a superb selection of bouquets and arrangements to suit any taste or occasion, all of which can be delivered through the Teleflorist Network. The Teleflorist Network is a worldwide network of professional florists who deliver fresh flowers all over Ireland, the UK and 140 countries worldwide. As a Teleflorist agent, Connemara Florist can send or receive any type of arrangement, you let us know what message you want the bouquet to convey and leave the rest to us.